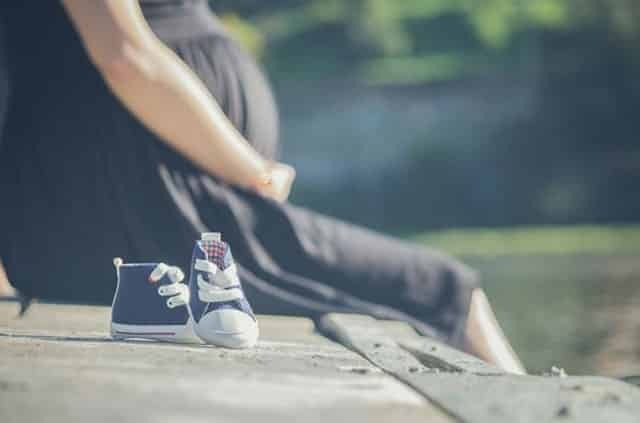 Hemolytic Anemia during pregnancy – This anemia is a somewhat uncommon form of anemia resulting in the elimination of red blood cells from a patient’s bloodstream. Typically, the destruction of the red blood cells is referred to as hemolysis. The condition only affects 5% of anemia patients but impacts more women than men. Pregnant mothers may develop hemolytic anemia, and this form of anemia can be dangerous in such situations. When a pregnant woman develops hemolytic anemia, she needs to seek treatment right away. Common signs of this condition include paleness of the skin and mucous membranes as well as dizziness, weakness, and fatigue. Unsurprisingly, hemolytic anemia mimics the symptoms of ordinary anemia. A number of more serious issues might present themselves, though. Sufferers may experience shortness of breath and heart palpitations. An individual could even lose consciousness as the condition worsens. Otherwise, jaundice and dark colored urine are possible signs here as well. Gallstones and even heart failure are considered the most serious side effects here. Based on a patient’s medical history, doctors may suspect the presence of hemolytic anemia. A number of blood tests will reveal anemia in affected patients. Identifying this specific type of anemia requires additional blood counts and a peripheral smear. Also, doctors may biopsy a section of bone marrow in order to identify hemolytic anemia. Different tests can be used to identify autoimmune hemolytic anemia, and further tests may reveal the disease when typical tests leave question marks. In pregnant women, hemolytic anemia complicates the pregnancy and may threaten both unborn child and mother alike. Hemolytic anemia often requires blood transfusions in order to restore red blood cell counts. Autoimmune-related cases of anemia require a different approach, and the immune reaction itself is targeted with steroid therapies. Sometimes, the steroid treatments won’t produce desired results, and then various medications may be employed to combat hemolytic anemia. If hemolytic anemia progresses to life-threatening stages, then doctors can try other solutions. For example, intravenous steroids and immunoglobulin can be transfused into patients. Only rare cases will see such extreme measures fail. Hemolytic anemia caused by over activity of the spleen can often be rectified by removing a patient’s spleen. More advanced treatment options are sometimes necessary, but a pregnancy will complicate things further due to concerns for the unborn baby. When a pregnancy is involved, doctors always take the fetus into consideration. Treatment options will only be employed if they won’t cause harm to the fetus. Depending upon the circumstances, a pregnant patient might not be able to undergo certain treatments or procedures to alleviate the condition. The good news is that many pregnant women will recover from hemolytic anemia after the pregnancy is completed. Of course, this assumes that doctors cannot cure the condition beforehand. As the experts at XpertDox note, pregnant women with anemia need to undergo testing right away. Any form of anemia needs to be brought under control throughout the pregnancy. Hemolytic anemia could present itself during the pregnancy, and then a more involved approach is needed to treat the condition. Fortunately, the average woman will undergo a successful pregnancy without experiencing long-term side effects, and the same applies to the fetus from development to birth and beyond.